The body found in a muddy grave across the street is just the latest horror threatening to tear Ali McGovern's life apart seam by seam. She knows Angelo, her brooding teenage son, is keeping secrets. She fears he's in danger, too. But her new job at the psychiatric hospital, the job her husband pushed her into, is using up everything she's got every day. She can try to ignore the sounds that surely can't really be there. And she can try to trust the doctors, who can't be as dark as they seem. But can Ali hold herself, her life, and her family together without getting blood on her hands? Catriona McPherson was born in Edinburgh, Scotland, and is the author of several standalone novels for Midnight Ink. 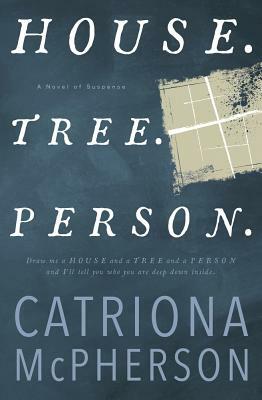 She is a four-time winner of the Lefty Award, three-time winner of the Macavity Award, two-time winner of the Agatha Award, and two-time winner of the Anthony Award. Additionally, she has been a finalist or shortlist honoree for more than a dozen major awards. Catriona also writes the Dandy Gilver historical mystery series (Minotaur/Thomas Dunne Books). She is the past president of Sisters in Crime and a member of Mystery Writers of America. She lives in Davis, California.